- This is our second visit to the Bakutel exhibition. Our enterprise cooperates with many companies of the CIS countries, including Azerbaijan. Our current goal is to build closer ties with the local market and expand our customer base. We need to get acquainted with new products in order to further develop correctly. The exhibition is an important assistant in this. It helps find new and necessary contacts. No mass media and telephone communication can provide the same efficiency as a lively communication in a constructive dialogue. We are frequent guests of specialized exhibitions around the world. We consider Bakutel a highly organized and high-level event. 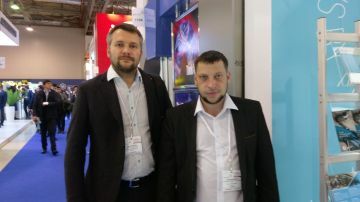 Considering our interests and the field of activity, I would like to see construction organisations in the field of telecommunications among the exhibitors in the future.